Players are able to apply Lost Ark CBT2 qualification from August 25 to September 8. What you have to is to get one veified lost ark account. BTW Lost Ark is published by Smilegate Stove. 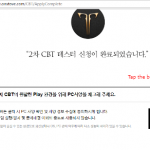 So you can register one OnStove account to apply Lost Ark 2nd CBT qualification now. This entry was posted in Game on August 25, 2017 by OBTGAME. This entry was posted in Game on August 29, 2016 by OBTGAME. Lost Ark 1st Closed Beta test time will be between August 24th–August 28th, 5 days. 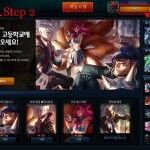 You have chance to WIN CBT qualification(maybe hard), and you will know whether win CBT qualification at August 22th. This entry was posted in Game on August 4, 2016 by OBTGAME. This entry was posted in Game and tagged Pmang Korea Account on April 26, 2016 by OBTGAME. This entry was posted in Game and tagged Nexon Korea Account on April 18, 2016 by OBTGAME. Tree of Savior, the upcoming 2.5D fantasy MMO was first announced at Hangame EX 2011 and deemed as a sequel of Ragnarok Online. Nexon released Tree of Savior Korean server will enter open beta on G-Star 2015 in December. Many players are waiting for this game. Though TOS JP and international server are in CBT, many players are would like to play TOS KR for it is the first server will be entering open beta. Anyway, it is very difficulty to get Tree Of Savior Korean account for foreign players without Korean phone number or i-Pin that a large numbers of players would choose to buy TOS KR account from third party. OBTGAME is a reliable seller, you can order verified TOS KR OBT account from its website. Let us take a preview of the game in a new trailer released by Nexon at G-Star 2015. Updates: Tree Of Savior Korean OBT will out on December 17, 2015. Check its official news here. This entry was posted in News and tagged TOS KR OBT on November 15, 2015 by OBTGAME. This entry was posted in Game and tagged Nexon cash points on November 1, 2015 by OBTGAME. This entry was posted in Game and tagged LOL KR on September 3, 2015 by OBTGAME. This entry was posted in Game and tagged Nexon cash points, Nexon Korea Account on July 19, 2015 by OBTGAME. Some nexon gamers are curious about that some nexon account need login with korean VPN and anothers don’t need, this post will tell you why. This entry was posted in Game and tagged Nexon Korea Account, Korea VPN on July 18, 2015 by OBTGAME. Great Service! Custom Account Options! Timely! it was really fast !! i can now use my melon account !! Really good support. I reccomend this.